Oooh.. You know the snowpocalypse from 2 weeks ago?! Oh you missed it too?! You know those 2 inches of snow we got.. we now have 4 days of school on Saturdays! So yesterday was our first Saturday school. While my students didn't earn their fun reward for Saturday school.. I took the opportunity to provide some fun team building and a random act of kindness for the teachers working on a Saturday! I started the morning by making pancakes for the staff and everyone was very thankful! 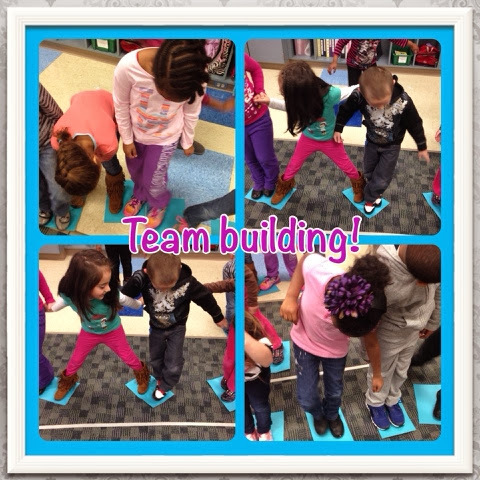 During the day we had to work on some team building and expectations! So I had the kids pretend the carpet was lava and they could only stand on the blue rocks! They had to work together to get to the other end of the tape! The kids laughed, worked together, and learned a lesson! I'd call that a success! We had a discussion about how it's important to work together as a class! 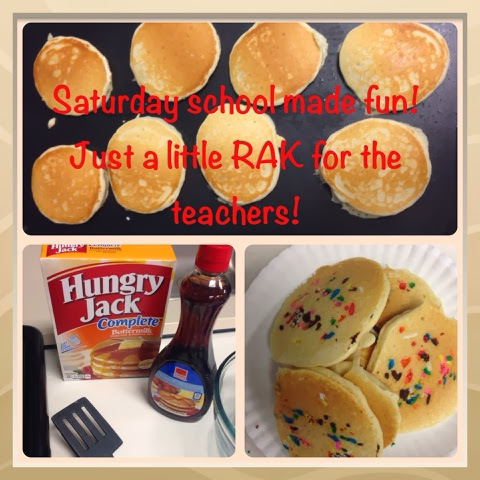 We will be working toward making pancakes as a class next week!! I'm hoping this week is better and that we eat pancakes! The kids are going to love cooking!